By: Diesen, Deborah, Hanna, Daniel X. 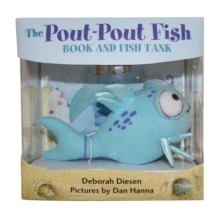 Swim along with the Pout-Pout Fish as he discovers that being glum and spreading "dreary-wearies" isn't really his destiny. Bright ocean colors and playful rhyme come together in this fun fish story that's sure to turn little frowns into big smiles.